Crazy Pineapple: Who is Responsible to check Discards? - Casino Answers! Casino Answers » Poker » Crazy Pineapple » Crazy Pineapple: Who is Responsible to check Discards? Barbara Batto asks: “At my home game the player with the dealer button selects the game and deals. We play Hold’em, Omaha, Tahoe, and Crazy Pineapple. There is an ongoing controversy when playing Crazy Pineapple regarding whose responsibility it is to ensure that the card is discarded. Sometimes there is no reminder from the dealer or any other player to discard a card. And sometimes a player in the hand has not thrown a card away before the turn is played. If this occurs, the player will then discard and we will pick up the turn, reshuffle and replay the turn. But some players argue that since the player did not discard before the turn was exposed that the player’s hand should be folded. Please tell me whose responsibility is it to ensure the players have discarded before the turn is exposed. 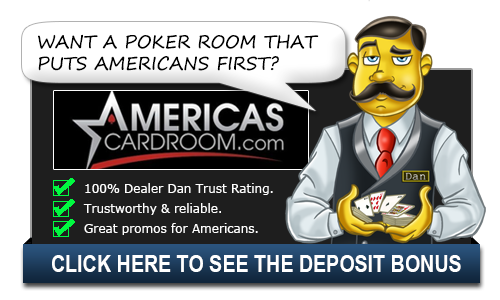 Should the dealer remind the players and make sure all cards have been discarded? Some players contend that it is the player’s responsibility to discard even if there has been no reminder, that the player should be paying attention and discard. Other’s feel it is the dealer’s responsibility to make sure that everyone has discarded before playing the turn card. This situation has caused some serious arguments, especially if the player who did not discard ends up winning the hand. Please help resolve this question. Ah, the great problems that always crop up in poker home games always throw up. The amount of arguments we’ve had with friends, or with the other Casino Answer guys because of problems in home games is far too many to count. It comes with the territory, I guess. But I digress. In this situation, it’s a tough one. There’s obviously no floor person to call, so the ruling has to be made amongst everyone at the table. However, the general consensus here at Casino Answers is that the hand is the responsibility of the player. For example, if a dealer mucks a player’s cards, the ruling is generally that the player is responsible for their hand. It’s the same in this scenario, as the player should be aware of what’s happening. It’s why dealers tap the table before dealing the flop/turn/river so that players know that action is finished. We would rule that the player’s hand is dead, simply because they have too many cards in their hand due to their own mistake and a hand with too many cards is against the rules of the game. However, it’s a game between friends and you obviously don’t want to lose friends and make enemies over a game of poker! Discretion should be used in circumstances like this in a home game. So, while we would say it’s the player’s fault and their hand should be dead/folded, use your own discretion and set the rules before the cards are in the air. Of course, if you’re able to, you can save yourself some hassle by setting up your own home games at Pokerstars. Not only does it mean you can play more often, it means any problems such as players not discarding will not happen. We hope this helps out at your next home game. Just remember that, first and foremost, any home games of poker should be fun! This point is not covered in casino poker rules. Discarding a card from the hand is a frequent factor in home games, though. I suggest the dealer be responsible for both asking the players to discard a card and informing the players when he intends to deal the turn. Rectification of an error is now easy. If the dealer has made the two announcements, a player who has not discarded a card and not halted the deal of the turn has a dead hand. Otherwise, it is the dealer’s fault and there must be a redeal.